Portugal protests: Police station attacked, cars torched | C.O.B.P. 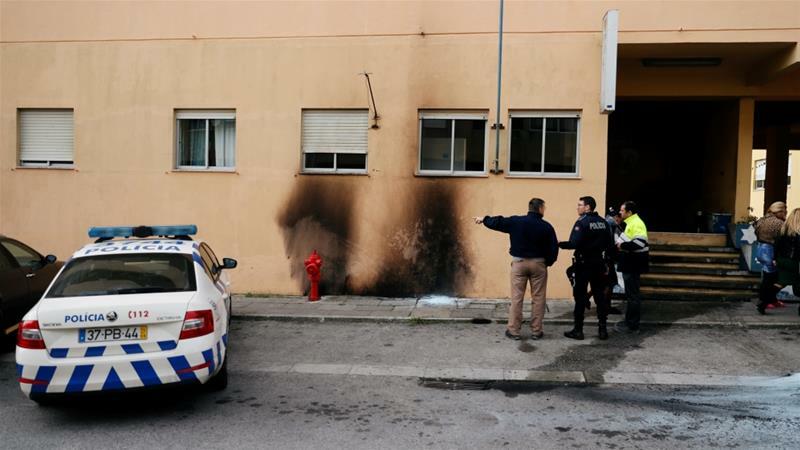 Unidentified attackers threw petrol bombs at a police station in the Portuguese city of Setubal and torched cars in the capital Lisbon, hours after a protest against alleged racially motivated police violence ended in clashes. Police said in a statement that three petrol bombs caused damage to the station in the early hours of Tuesday morning but nobody was hurt. The statement added that their investigation could not establish any links to a rally in central Lisbon on Monday night, which followed a police raid on a predominantly black neighbourhood in Seixal, on the outskirts of the capital south of the Tagus River.